F.A. Cup 1st Round, Replay. Thursday 16 November 2017, 7:45pm. A date has been set for the F.A. 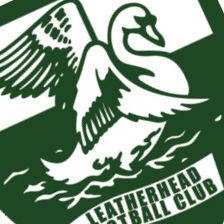 Cup 1st Round replay match with Leatherhead. The match will be shown live on BT Sport from 7:45pm on Thursday 16 November 2017. Tickets will be available on the online ticket shop. The league match at home with Met Police has been rearranged for Tuesday 19 December. I was at Leatherhead for the first game but I am on holiday now in Lanzarote. Will be watching the game live on BT sports in Linekers bar cheering from a far. See you at the Wycombe game in the 2nd round.